I’d been scanning my inbox for a while, waiting for the perfect deal to come through. Last year the only flight that had been impossible to book with any of my mileage points was my trip to Tonga. That one hurt at over $2000. For my return to the South Pacific, I vowed to do better. I was able to book a flight to the same region for less than half of what I paid last year, and 50% off the usual price. This came to me via Travel A Bunch, a service that searches out deals for you and emails you every time they find a steal. The best part is it only costs $20, not per month, but PER YEAR. 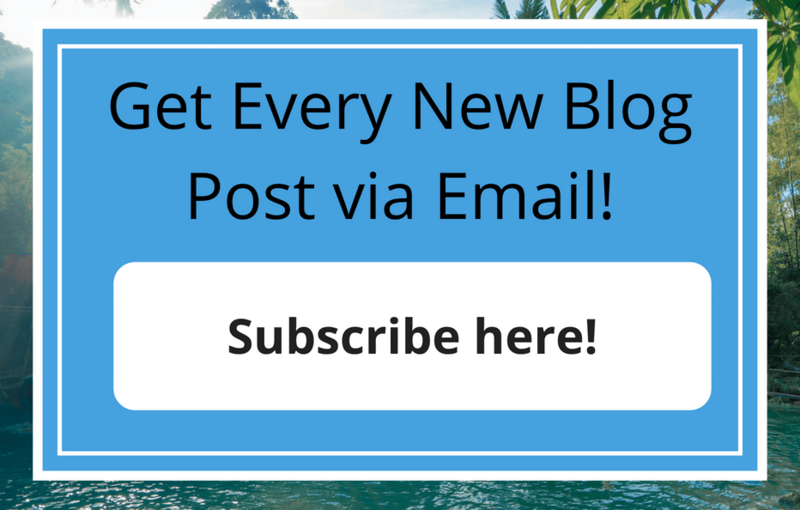 You can learn more and sign up here. 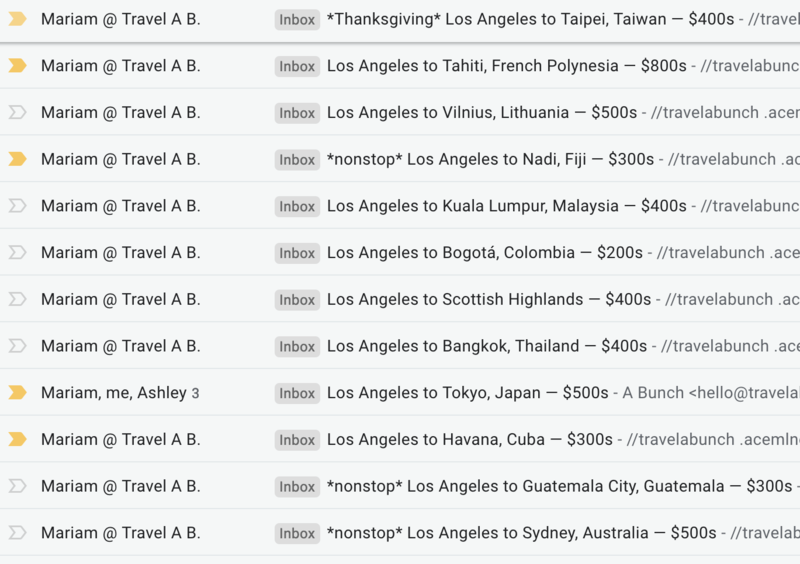 So far I’ve seen some super tempting deals like $400 round trip to Taipei over Thanksgiving, low $500s to Sydney, Australia, and Bogota, Colombia for $200. There have been other deals to Japan, Guatemala, Cuba, Malaysia, and Thailand all for under $500 as well. Even though not every deal will work with my schedule, every now and then the jackpot hits and I can get a super cheap flight which opens up way more of my travel budget for activities and accommodation. Wouldn’t have minded paying less to get here, though it was amazing! 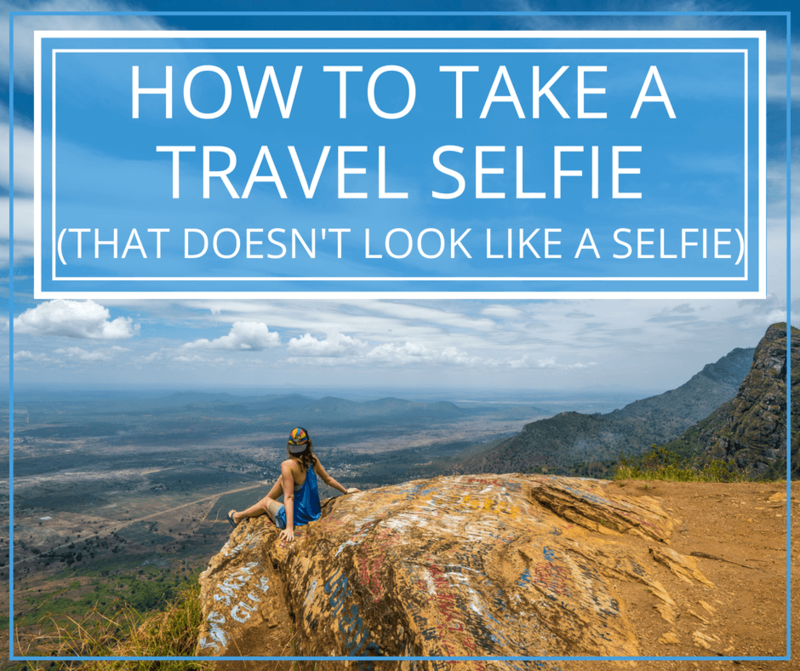 Using Travel A Bunch is pretty simple. When you sign up, you enter in your preferred airport and they send you deals. In the past 2 months that I’ve been using it, I’ve already received 12 flight deals to my inbox. Travel A Bunch sources flight deals around the world from your home and surrounding airports, comparing prices, layovers, date availability and even the airline’s reputation. They also make sure to include airports in smaller cities so that you are well taken care of even if you are in cities like Boise, Idaho, or Omaha, Nebraska. The deals they source are 2-9 months out, so there’s plenty of time to prepare and request time off of work and plan ahead. 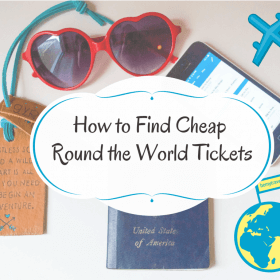 If you’re into travel hacking like I am, you can also use the deals you find as an opportunity to search the same airline for their mileage deals. Chances are good that you’ll be able to get the flight for the minimum mileage needed as well, and there may also be other airlines price matching the one you get the deal for. For my Tahiti flight, I was also able to find it on other airlines for slightly more, including United, which I have mileage points with. Normally that flight would be a lot more miles (and money) than just $900 or 60k miles. Boom! 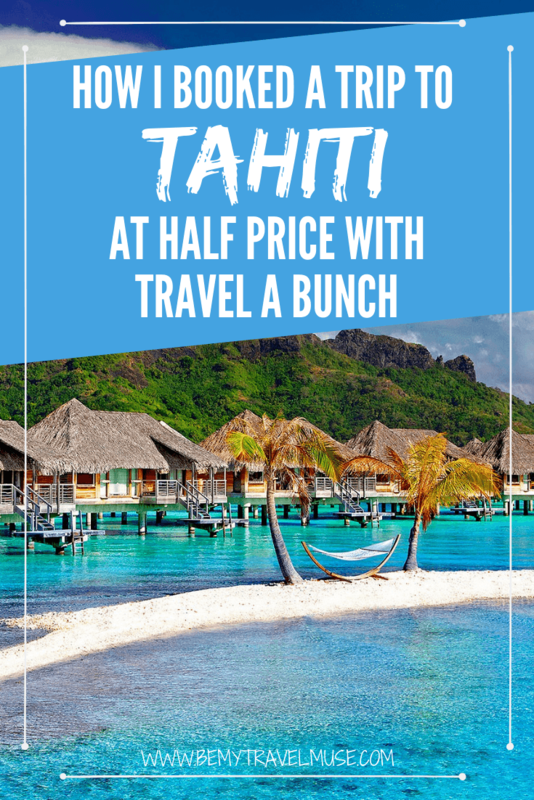 I could book a RT flight to Tahiti for FREE. I don’t know how or why it’s so cheap but as of now the service is priced at $20 per year which, if you book anything at all, pays for itself many times over. 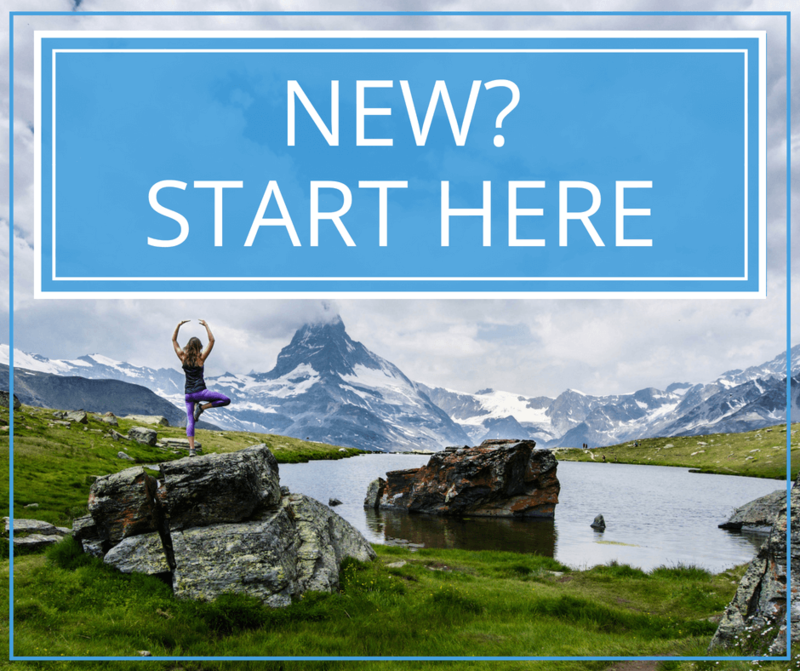 Travel A Bunch offers a 30-day free trial to test out the product and if in 6 months you don’t find a deal you like or don’t want Travel A Bunch, there is a 6-month money back guarantee no questions asked. Right now Travel A Bunch services clients with home airports based out of the US, Canada, Europe, and Australia. They plan to expand to Asia and Africa in the near future. Learn more here. Who are Travel A Bunch? Frankly I get a lot of emails in my inbox asking me to review services or products, and as you’ve possibly noticed compared to many of my peers, I don’t do that many reviews. I have a policy that it has to be something I want to use and can test for at least a few months before sharing it here. Part of what made me say yes to Travel A Bunch was Ahmed and Mariam’s passion and mission. Ahmed and Mariam, a sibling-duo, are the main force behind Travel A Bunch. Growing up as Third Culture Kids, they have lived in many countries with a diplomat father. It was only natural that the siblings got the travel bug and mastered the art of finding amazing flight deals. 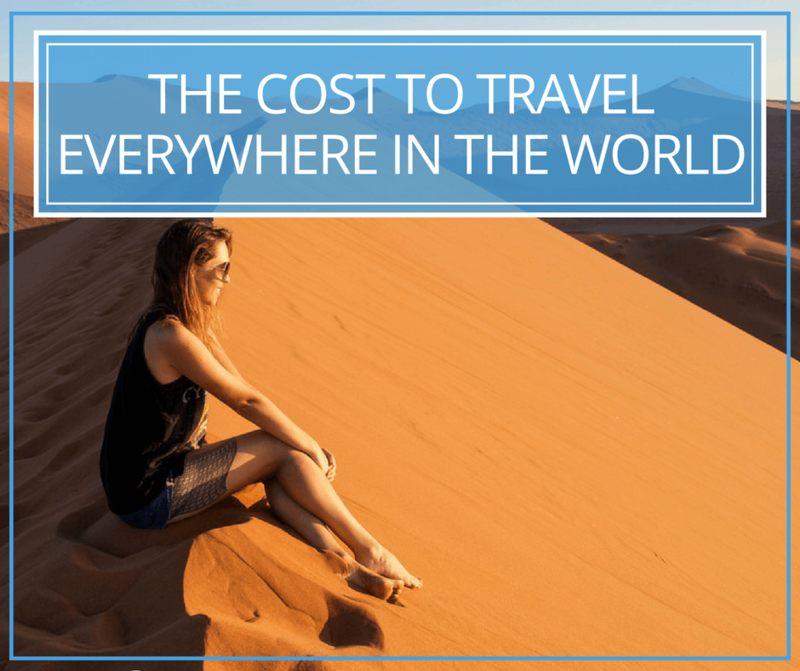 Since then, they have helped many of their friends fly cheap over the years and eventually, they decided to start Travel A Bunch so that more people can benefit from their expertise. Travel is an essential part of their lives, and they hope to help others do the same through their company. 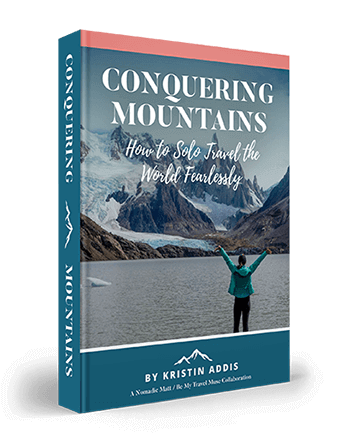 I hope this helps you to travel more, travel farther, and makes it more accessible for you to find deals and opportunities to see the world. Travel is getting more and more accessible with services like this and I’m thrilled. Once you do book that flight, come back and find the perfect itinerary here to make it the trip of a lifetime. 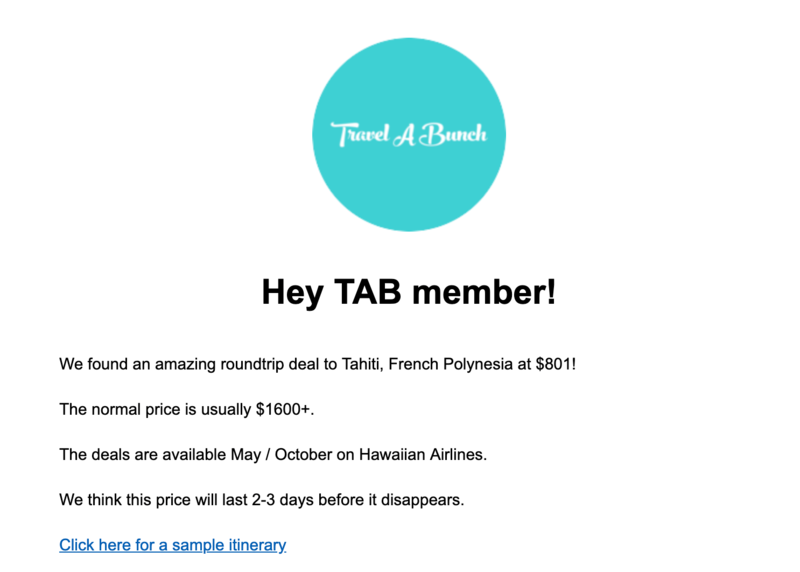 *This post was (obviously) brought to you in partnership with Travel A Bunch, whose service I seriously love and booked my flight to Tahiti with. I only recommend products and services that I love on this blog, and your trust always comes first. Follow Travel A Bunch on Facebook and Instagram here. Took a look at the site and what a great find! Thanks for sharing these and all of your recommendations are always high quality. 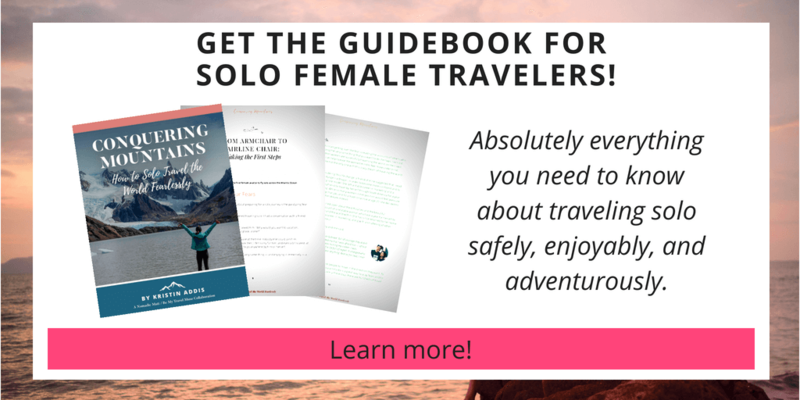 It is great that you also supporting your fellow travelers too. I might try this for the next big trip I take where I have flexibility.